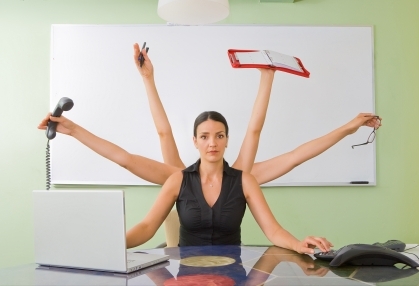 As a small business we are the first to understand how important it is to multitask and get things done. We are aware of the long hours and the obstacles that prevent us from reaching our goals, financial and otherwise. Hiring additional help can often be a daunting task and requires careful consideration. With all that said, there are aspects of your Marketing strategy that are essential to the success of your business. Before, it was the integration of traditional marketing techniques such as printing flyers, banners and a variety of graphic collateral. Today, it’s the efficient use of Social Media that allows you to gain visibility and promote your business. Whether or not you are familiar with Social Media, it’s here to stay. So the sooner you can get a handle on how to use it effectively, the more likely your business will be to get the exposure it needs. But how exactly should you go about this whole Social Media thing? That’s a question most, if not all, of our clients at Optimum 7 ask. Since it’s a relatively new strategy, most business owners are busy with product inventories and overall strategies on how to run their business day-to-day, and ignore the necessity of hiring a social media specialist (rather than an intern or your nephew who’s always on his iPhone). That is why I decided to write this article and clear up any misconceptions you may have about Social Media Marketing. I promise these tips will help you choose a strategy in less than 10 minutes. You should not have your secretary do your Social Media Marketing. Although your secretary might be multi talented, it takes knowledge and skill to create an effective Social Media strategy. It’s not something that “just anyone” can do. A Social Media plan that works takes vast amounts of research, time and an understanding of industry trends as well as viral marketing. Paying your secretary a little bit extra to work on Social Media involvement will only cost you money in the long run. There’s a process that must be completed in order to create a successful strategy, and this process cannot be accomplished at 4:55 in the afternoon. Don’t randomly schedule your posts. I see many clients doing this, where they opt for a Social Media Management tool like Bufferapp to schedule posts at random. This “strategy” almost always fails. Having a set content strategy for your Social Media sites is just as important as having a set content strategy for your blog. You wouldn’t just write about random topics now would you? Don’t overlook SEO value on your Social Media profiles. When you set-up your Social Media accounts, do you tend to write an SEO friendly company description? Probably not. I can’t stress how important this is. Social Media sites show up in search results. Therefore anything you write is ultimately indexed by Google, which means the more SEO friendly the better. But of course, don’t over optimize. Don’t just stick to your Social Media sites. Fortunately, if your website has decent authority, you are more likely to be successful promoting your Social Media sites there. Whether it’s on the homepage or blog page, you will probably need a clever designer to craft appealing call-to-actions with the purpose of directing traffic from the website to the Social Media sites. Make sure to check your heavily visited pages on Google Analytics and choose accordingly. Don’t avoid comments and overall interaction on your Social Media sites. I’m sad to say that I see this very often. This goes back to having your secretary manage your Social Media. He/she may not have time to answer followers’ requests and concerns. Ignoring your audience is one of the worst things you can do. He/she will probably end up “unliking” your page or simply stop following it. The worse part about it is that Social Media interaction fuels conversion rate. This simply means the more you interact with your followers, the more likely they will be to purchase from you. It all goes back to logic and human nature. Don’t over post. In my experience, I had to unlike several Facebook pages that would drown my news feed with promotional material. I admit I had to do the same with some friends. Baby pictures. Sound familiar? Simply, don’t be that brand. Limit yourself to two or three posts per day. That should be more than enough to let your clients know of your awesome existence. Enough with the negative! Let’s move into what you should be doing with your Social Media sites. Create a checklist and see which one of these you are already doing. Do involve your whole team. Whether you are a small business or not, it will be to your benefit to integrate everyone’s experience on your Social Media sites. Part of a successful Social Media strategy is to be transparent to your audience. What better way to do so than having your very own employees participate? Do monitor the progress regularly. Just like any other process, Social Media must be monitored in order to measure its effectiveness. There are countless free tools that can help you do so such as Twitonomy, Facebook Insights, and Social Sprout. Do include images and graphics in your strategy. Social Media is becoming increasingly visual. What I mean by this is that photos and memes are sharable in a way plain text isn’t. Do build a company culture on your Social Media sites. Users are more likely to relate to your brand if it has a specific purpose that they find useful, relayed in a voice they can relate to. For instance, take the content Zappos posts on their Social Media sites. You’ll find way more than just promotional material. Their messages are genuine and relatable. Now that you have a basic guide on what to post, it’s your turn to start revamping your Social Media sites to increase visibility and conversion rates. Even if you haven’t started promoting your product/service there yet, start by researching your competitors on Social Media sites and maybe that will convince you to take a stand. For more insight into social media and helpful tips and tricks, follow me @luciasastre1 or ask me a question. If you still aren’t sure where to begin, contact us today! We can help you craft a social media strategy that reflects your brand and drive conversions, while truly engaging your audience.